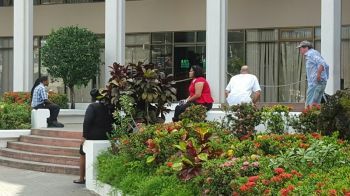 ROAD TOWN, Tortola, VI – All Government workers and visitors of the Central Administration Complex had to swiftly evacuate the building this morning January 27, 2016 as a small fire ignited in the vicinity of the deli located on the ground floor of the East atrium. When this news site arrived on the scene, a number of public officers were standing and sitting around outside waiting for the all clear to return to the building. 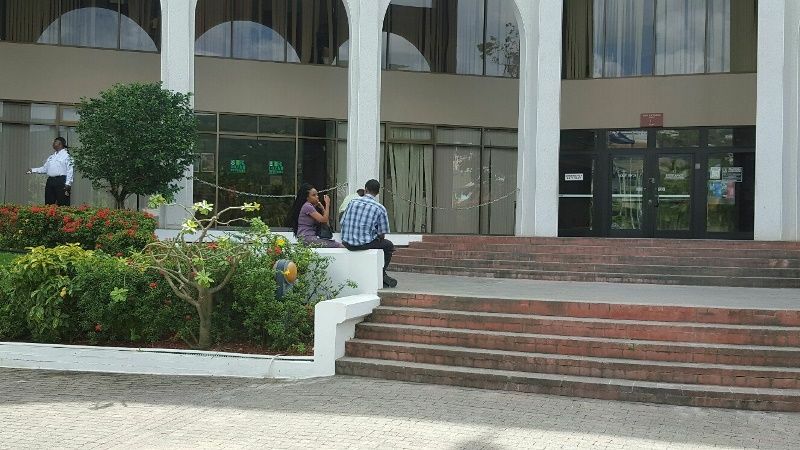 A release from the Government Information Service (GIS) called the incident a minor one which had been contained. 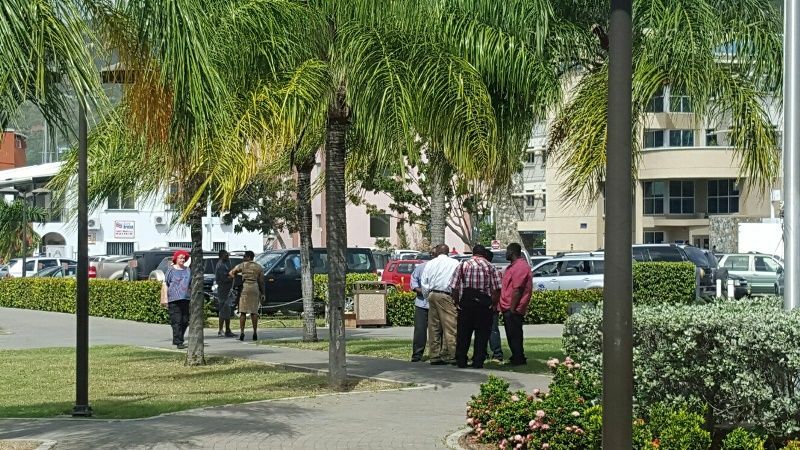 “The Government of the Virgin Islands is advising the public that this morning public officers evacuated the Central Adminstration Building approximately one hour ago in response to a fire alarm. It was a minor incident at the deli that has now been contained, and officers will resume work at 12:15 pm,” the release said. Chief Fire Officer Zebalon A. McLean confirmed with this news site that the fire reportedly started in the deli and that it had been put out. “It was a small incident in the deli but I haven’t had a full report on it yet. The workers were given the all clear to return to work and they should be returning to work after lunch,” Mr McLean said. Lord SAVE OR Queen AND HER Treasury...Too Close TO CALL..
"Workers evacuated" Did the workers had a bout of gastro? I told aya before,this is just the smoke,the fire behind.Glad no one was hurt btw. 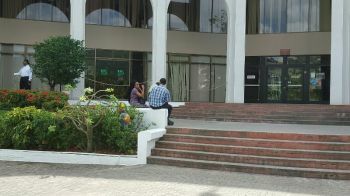 Where they burning the corruption cabinet papers or trying to get rid of the purchase orders? Peaceful protests and the right to petition the government for redress of grievances are protected rights.